Jake was last seen with Kokandy attempting the splits in The Full Monty! 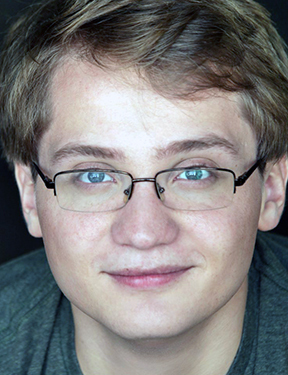 A graduate of Millikin University, Jake most recently performed in Capital City Theatre’s Violet (“Virgil/Ensemble”). Other Credits: “Motel” in Fiddler on the Roof (Tent) and “Bud Davenport” in Gutenberg! The Musical (Pipe Dream). Jake has also performed in two new musicals: “Ensemble” in Adam Gwon and Sarah Hammond’s String, and “Patrick” in Joshua Salzman and Ryan Cunningham’s The Legend of New York. Cheers to the cast and crew!